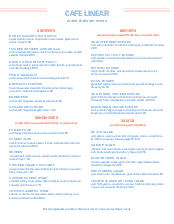 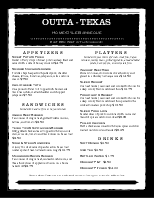 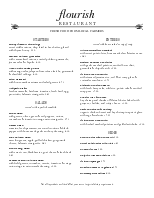 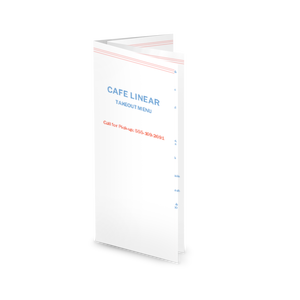 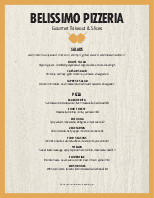 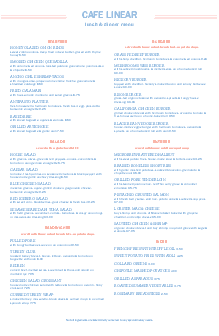 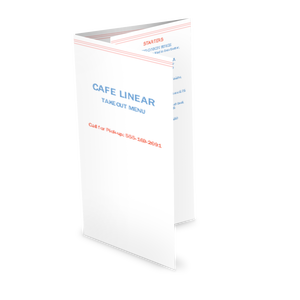 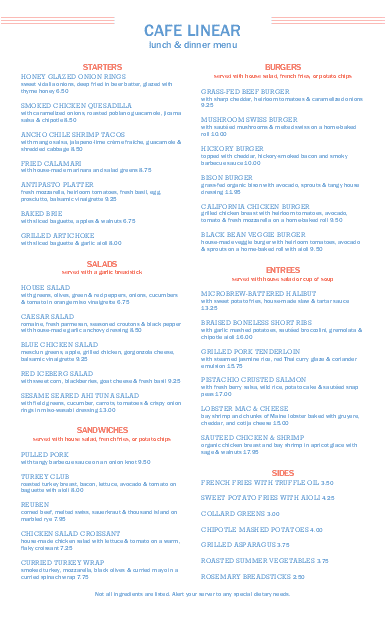 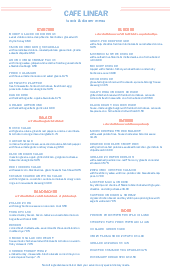 A Cafe Restaurant menu template in legal size. 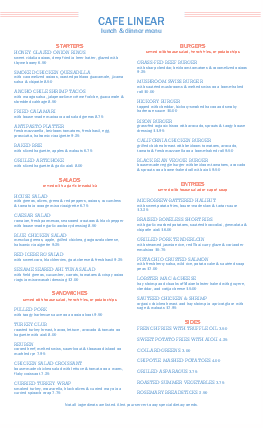 Red and blue line graphics create a modern casual tone. 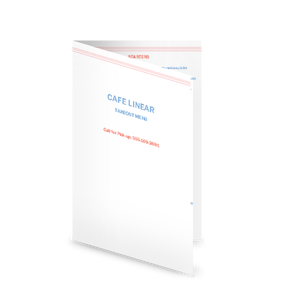 Customize the business name and two columns of menu items.